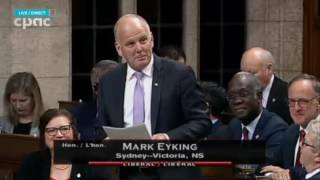 Added June 7, 2018 from Mark Eyking. 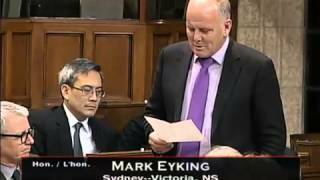 Added April 4, 2018 from Mark Eyking. 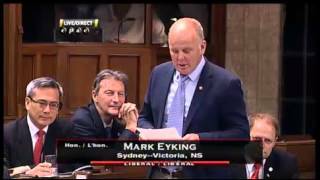 Added April 23, 2018 from Mark Eyking. 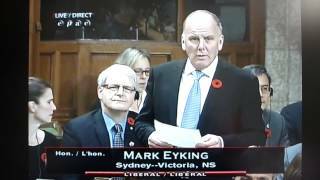 Added October 30, 2017 from Mark Eyking. 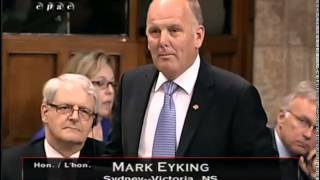 Added September 19, 2017 from Mark Eyking. 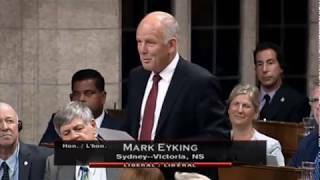 Added August 16, 2017 from Mark Eyking. 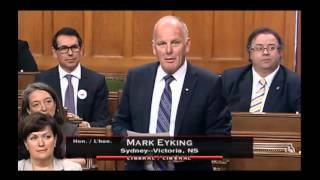 Mark Eyking makes a statement in the House of Commons in honour of the late Michelle Curtis' 2015 act of bravery. 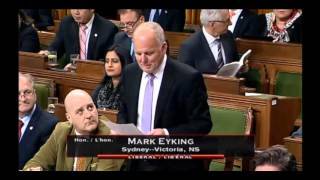 MP Mark Eyking, Sydney-Victoria, honours Vimy Ridge and the Livingstone Family of Boularderie Island, Cape Breton. 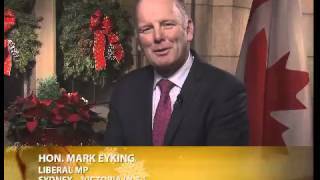 Happy Holidays and all the best in the 2017 New Year from Sydney - Victoria Member of Parliament, Mark Eyking. 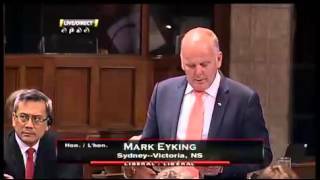 MP Mark Eyking for Sydney - Victoria recognizes the commitment and determination of the Whitney Pier Youth Club on December 1, 2016 in the House of Commons. Mark Eyking, M.P. 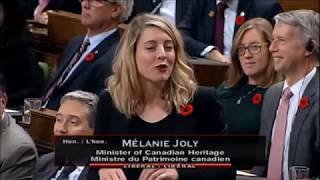 for Sydney - Victoria asks the Minister of Infrastructure & Communities about development for the Port of Sydney, Cape Breton Nova Scotia. 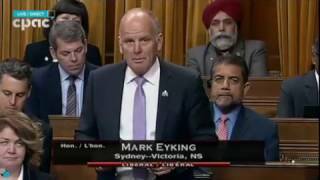 Today, I had the opportunity to speak in the House about the Veterans Voices of Canada-Flags of Remembrance Sydney project which honours the men and women who have paid the ultimate sacrifice. Thank you to local organizers and all those who attended last weekend's event, making the first annual Flags of Remembrance event a great success. You can view the flags until November 12 along Stable Drive in Sydney. 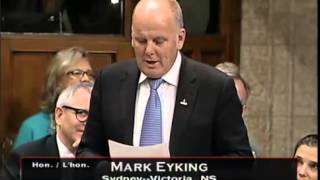 News Release December 9, 2015 For Immediate Release (Ottawa, ON) Member of Parliament for Sydney-Victoria, Mark Eyking, informed & questioned the Minister on what actions the new government will take regarding the recently revealed high child poverty numbers in Cape Breton, & how we will bring these unacceptable numbers down. “Mr. 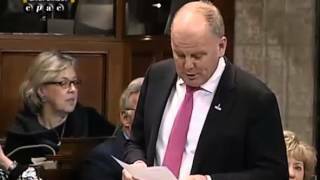 Speaker, It has just been revealed that my riding of Sydney—Victoria has the highest child poverty rate in Canada at 35%, & under the age of 6 it’s 43%. This is unacceptable when these children are living in one of the wealthiest countries in the world. 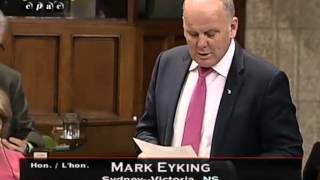 My question is to the Minister of Finance: What will this government do to help these families in need, whether in Cape Breton or the rest of Canada?” Eyking asked. 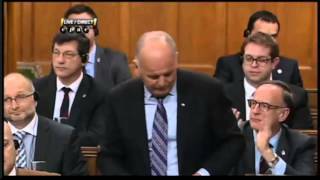 Following Question Period Eyking stated “The Minister of Finance’s answer revealed the legislation we are passing this week will put much needed dollars into the hands of families in need in Cape Breton. 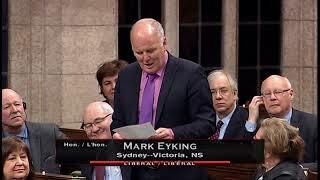 (Ottawa, ON) Member of Parliament for Sydney-Victoria Mark Eyking made a statement in the House of Commons today recognizing the passing of William “Bull” Marsh. “Mr. 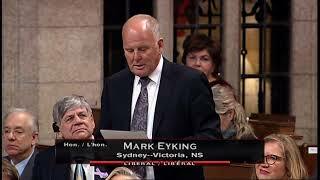 Speaker I rise to recognize a renowned Cape Bretoner, William “Bull” Marsh, who recently passed away over the weekend. Bull was born in New Waterford on January 21st, 1922. After serving four years in the navy during World War Two, Bull went to work in New Waterford's No. 12 Colliery, then transferred to No. 16, where he began his work with the United Mine Workers of America. In 1958 he was elected President of District 26 and held that position for 22 consecutive years. He was the longest serving president in District 26 history. In 1965 there were 6500 miners working in Cape Breton, and Bull played a major role in securing their livelihoods. He had an amazing talent as a speaker. In his leisure time, you would find him fishing, hunting or training his Labrador retrievers. Giving the miners a fair deal is what Bill stood for. 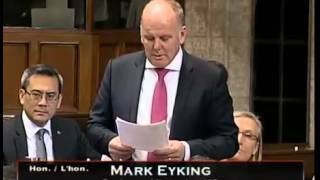 His impact on the community was remarkable, and he will be fondly remembered for many years to come.” Eyking stated. 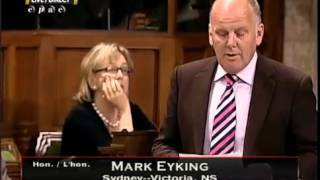 (Ottawa, ON) Member of Parliament for Sydney-Victoria, Mark Eyking continues to question the Harper government’s commitment to infrastructure spending as municipalities struggle with implementing the federal government’s wastewater regulations. “Mr. 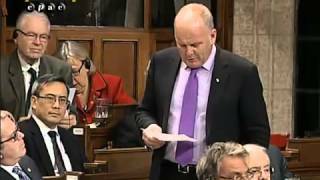 Speaker, Municipalities across this county continue to find a financial black hole where federal infrastructure funding should be. 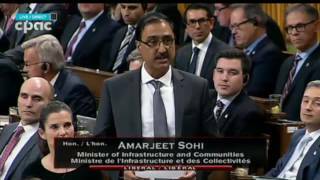 This government is all talk when it comes to infrastructure spending. 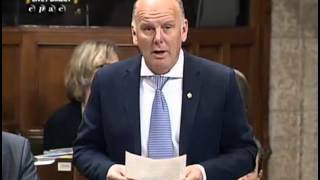 In the Cape Breton Regional Municipality alone over $400 million worth of waste water system upgrades are required. 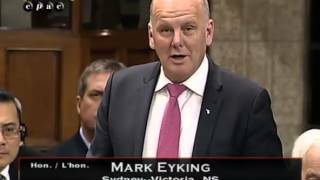 Will this government finally live up to its responsibility and bring the money to the table so we can get the job done, keep our water safe and get our people back to work?” Eyking asked “What this government is doing by forcing municipalities to do work without offering adequate funding to do the job it’s unfair and unreasonable. It would certainly create further financial strain on our municipalities that would have to be passed onto the residents. 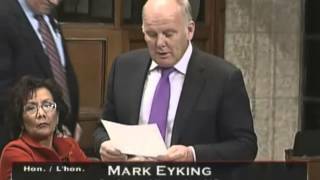 This government needs to put funding in place to help the smaller communities and municipalities that just don’t have the financial resources to upgrade their systems.” Eyking added. 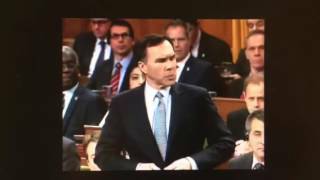 Mr. Speaker, I rise today to recognize the contributions and dedication of Father Paul Abbass, Father Abbass is a good friend of mine, I have known him for 35 years back when he was first ordained to the priesthood. He was my local parish priest and works in many communities across Cape Breton. He is well known for helping men suffering from addiction and his commitment to helping our youth. Father Abbass has been instrumental with Talbot House in Frenchvale, The Talbot House is a place for hope and healing for men struggling with addiction. The men receive the help that they need to get a fresh start. Father Abbass is retiring from Talbot House and is leaving it in great shape, He is a man that never stops and even as he retires from the Talbot House he plans to continue to give spiritual guidance to many in our community as he currently oversees seven parishes. I ask my colleagues to join me in thanking Father Abbass for his many years of tireless service to our communities most vulnerable. We wish you nothing but the best as you start the next chapter in your life. 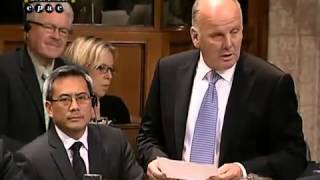 February 3rd 2015 Mark Eyking, Liberal Agriculture & Agri-Food Critic, questions Minister of International Trade over the government's safeguards to protect Supply Management in negotiating the Trans Pacific Partnership Agreement. 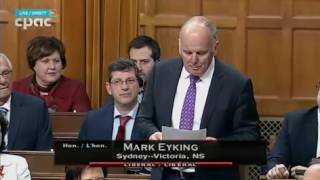 Member of Parliament, Mark Eyking rose in the House of Commons today on behalf of the over 4000 Cape Breton veterans who have been directly affected by the closure of the Veterans Affairs office in Sydney. 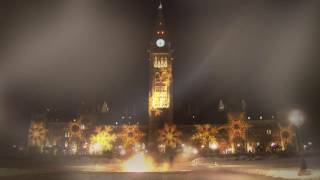 I would like to take this opportunity on behalf of my family and staff to wish you a very Merry Christmas and a Happy New Year. 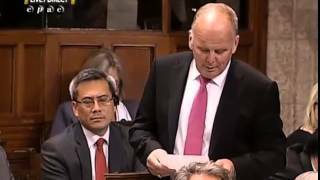 This morning I rose in the House of Commons to present a petition on behalf of hundreds of my constituents regarding the cuts to Canada Post. 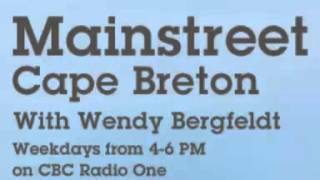 Wednesday October 22nd, 2014 Interview with CBC Main Street Host Wendy Bergfeldt. 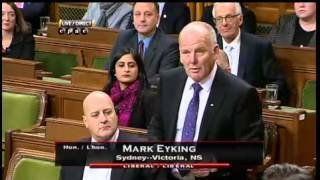 Mr. Speaker, I recently had the opportunity to tour the largest library in my riding which was built back in 1960. The James McConnell Memorial Library is the feeder library to 11 other outlets and two book mobiles. Over 500 people visit the Sydney library every day. My first visit to a library was when the bookmobile came to our community of Millville. It is a great service to all ages in rural areas. Some people say that libraries are passé but the need for these facilities has only grown over the years. The service we receive from our libraries is invaluable. Many people use the library as a place to study, research assignments, and meet for group projects. Whether it’s preschool children or those needing public access to computers, libraries are important. Our library in Sydney is indeed ready for a new chapter; the other libraries in Cape Breton cannot survive without it. The community and other levels of government are stepping up to the plate & I encourage the federal government to also come forward. 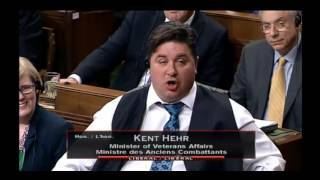 Mr. Speaker, I would like to remind all members of this House to visit your local libraries and see the great things that are happening there. 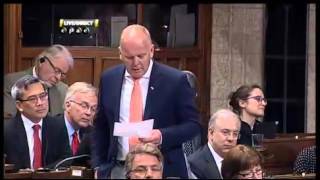 Question to the Minister of Agriculture today in the House of Commons. 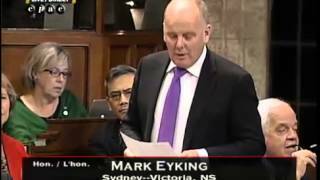 (Ottawa, ON) Member of Parliament for Sydney-Victoria, Mark Eyking questioned the Conservative Government on the divestiture of the Sydney harbour bottom. 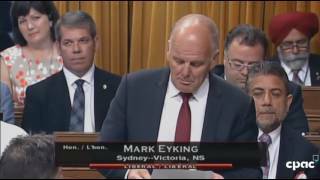 Eyking asked when the government will transfer control of the harbour bottom to the CBRM so the municipality can focus on the economic development of the Port. 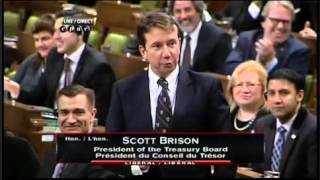 "Mr. Speaker, one of the key components to Cape Breton's economic future is further development of the Sydney harbour. 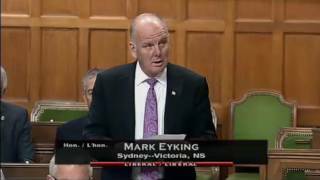 Now that the dredging is complete, it is vital that the Cape Breton Regional Municipality takes over ownership of the harbour bottom to bring us new business. My question is to the Minister of Transport: We are waiting for this transfer, Ports Day is next week, as a fellow Cape Bretoner would you be willing to come down & announce this so we can move forward?" 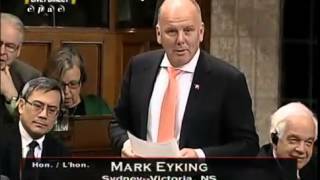 Eyking asked "The municipality has been waiting years for this transfer, it's time for the conservative government to transfer the ownership so we can move forward with our economic opportunities" Eyking said after his question. 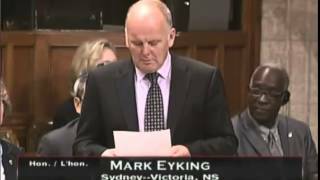 Nov. 6th 2013, Members Statement on plan to close the DVA office in Sydney, N.S. 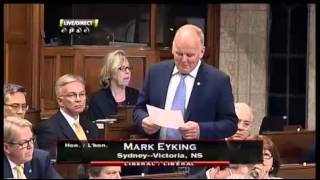 Mark Eyking M.P. 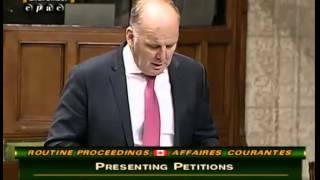 for Sydney-Victoria Spoke today in the House of Commons about the Conservative Government's plan to close the Sydney DVA office.